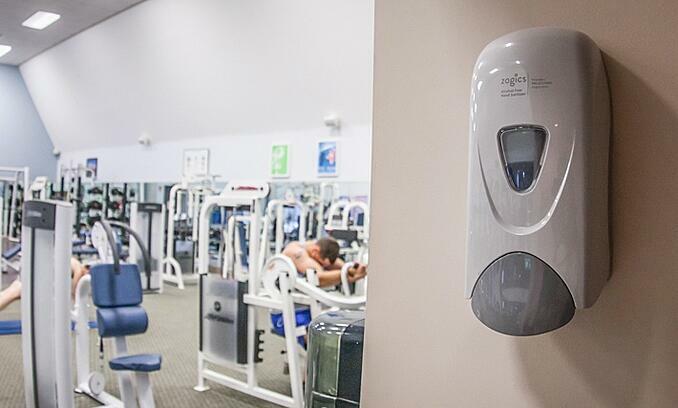 Hand sanitizers are a common item on our desktops, in our bags, as well as grocery stores, gyms and other facilities we all frequent. Hand sanitizers combat the bacteria, viruses, and other pathogens that threaten our health every day. But that still leaves many questions. Which hand sanitizer works the best? Which hand sanitizer is the most effective one to use? Is hand sanitizer with alcohol better than alcohol-free hand sanitizer? Currently, the market provides us with two distinct choices: Alcohol-based gels and Alcohol-free foaming hand sanitizers. Both options have their benefits and drawbacks. Choose the one that is right for you. Consider how and where you will need to use hand sanitizer. Alcohol-based products will contain one of two active ingredients; alcohol or isopropanol. Both are effective antiseptic products that kill germs and bacteria. They share many of the same properties. Their main difference is on a molecular level. One distinct property that they both share is that they are highly flammable. 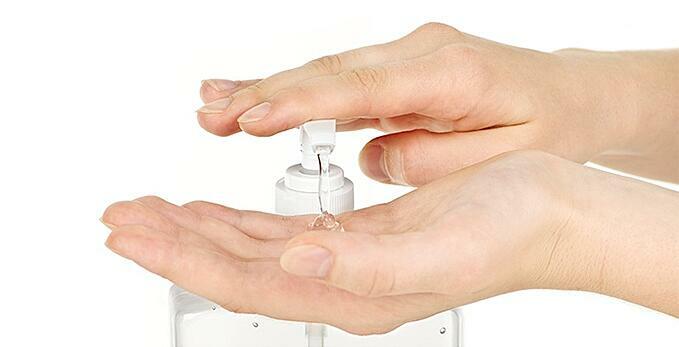 The FDA recommends that hand sanitizers should contain 60%-95% alcohol for maximum efficacy. This high concentration has long raised concerns in both the media and the health care community. Hospitals and other facilities need to consult their local fire authorities when planning the installation of alcohol-based dispensers. Facilities must adhere to local regulations and codes when dealing with such flammable compounds. Another concern with alcohol-based sanitizers is the potential toxicity hazards upon ingestion. Most dispensing mechanisms for hand sanitizers are easy to open. They are also placed in accessible locations to encourage use. Caution must be exercised whenever children and chemicals share the same environment. With the high levels of alcohol concentration, consumption can lead to acute alcohol poisoning in children and adults. A common side-effect often associated with the repeated use of alcohol-based hand sanitizers is the dryness and cracking that it can cause on hands. This occurs because the alcohol strips away oils in your skin that retain moisture. The temporary absence of these oils can lead to increased skin irritation on the hands. It can even lead to symptoms of dermatitis. Another complaint is that the alcohol found in these products are damaging to floors and walls. The alcohol can stain the areas where dispensers may drip or leak. Alcohol-based products have long been the recommended course of action (second to hand washing) by leading global health organizations such as the CDC, WHO, and the FDA. It is still the most used sanitizer in hospitals and other health care facilities. Its effectiveness has been proven time and time again, withstanding the test of time. Most alcohol-free products available today come in a water-based foam. The products contain the active ingredient Benzalkonium Chloride, a quaternary ammonium. Unlike alcohol-based products, alcohol-free hand sanitizers often contain less than a 0.1% concentration of Benzalkonium. They still provide the same level of protection. The rest of the solution is mainly water and will often be enhanced with skin conditioners such as vitamin E and green tea extract. It’s non-flammable, and the low concentrations of Benzalkonium make it relatively non-toxic. However, these products are all recommended for external use only. Alcohol-free hand sanitizers entered the market to address the concerns and complaints of gels. In many ways, they have succeeded. Typically, these solutions are much easier on the hands. They also pose much less of a threat in cases of accidental ingestion. Alcohol-free hand sanitizers are a low fire hazard and are non-damaging to surfaces. One other clear benefit is the extended protection that occurs. Alcohol-based product’s ability to kill bacteria ends once the product has dried on the skin, but benzalkonium-based products continue to provide protection well after the solution has dried. One possible drawback with the alcohol-free solutions is that they most often come in the form of a foam. While this usually results in a more pleasing experience for the user, it does require a special foaming mechanism in the dispenser. This can make converting from a non-foaming system cost prohibitive as it would need new hardware to be installed. Despite some clear benefits, alcohol-free based products have yet to gain real traction in the health market. Alcohol-based gels continue to be favored by health organizations, and therefore seen as a more credible solution by many in the field. It's not that these organizations don't recognize the effectiveness of benzalkonium based solutions. The term "alcohol-free" could apply to any number of products on the market. It's a broad term that makes it impossible for agencies like the CDC and WHO to endorse. What is the Right Kind of Hand Sanitizer? Both types of products do more or less the same job in killing harmful microbes. Choosing the right product by weighing your needs against your environment, budget, and personal preference. For example, if you work in school, correctional facility, rehab center or manufacturing facility, an alcohol-free system would most likely provide you the most peace of mind and protection from ingestion or fire. If you work in a hospital that requires you to follow strict guidelines set by the FDA, you may need to go with an alcohol-based gel. You may also wish to go with a gel if you are looking for a personal solution to carry in a handbag or backpack. Alcohol-based dispensers are often smaller and more compact than the foaming mechanisms required with alcohol-free products. This can be ideal for travel and portability. In terms of budget, alcohol-free hand sanitizers are less expensive with more applications per gallon. A gallon of each may cost the same, but you will usually get 2,000 to 3,000 more applications out of the foaming hand sanitizers. This is because the dispensing mechanism adds air to the solution during application, making the product go much further before running out. Whatever your needs, use an effective hand sanitizer as part of your preventative defense against illness and disease. This is a crucial part of a healthy environment. We manufacture both types of these hand sanitizers here at Zogics and would be happy to answer any questions that you may have.